A seedling of H. 'Salute', this cultivar was registered by Hans Hansen of Minnesota in 2006. It forms a medium size mound about 17 inches high by 32 inches wide. 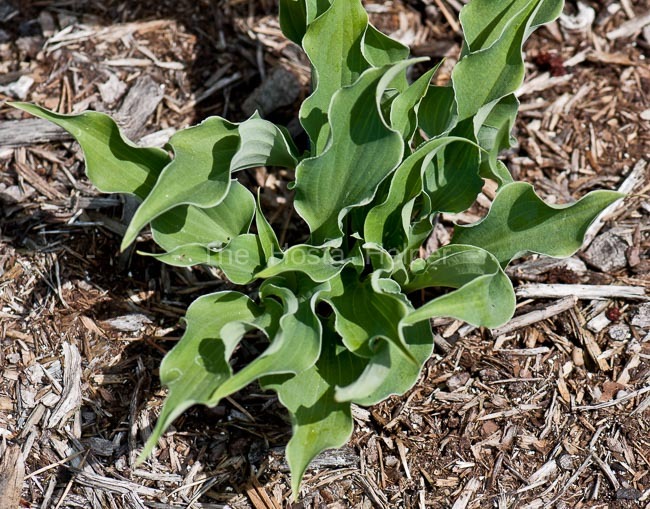 The leaves are serrated along the wavy edge and are frilled and rippled along the margins. It produces pale lavender flowers from late August into September followed by viable seeds. The New Encyclopedia of Hostas by Diana Grenfell (2009) states: "Grow with hostas and other plain-leaved plants to emphasize the "restlessness" of the leaves...The leaf edges are much more undulate than those of its parent." 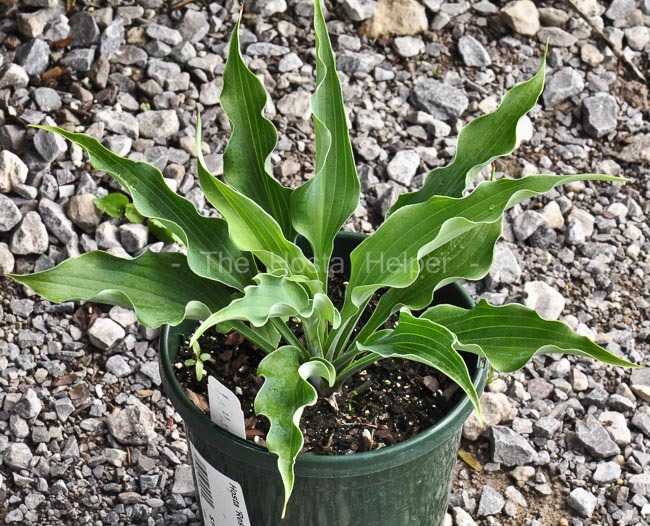 Similar hostas include H. 'Cutting Edge' and H. 'Party Favor'.